Lincoln -- Courtwright 0-0-0, Gallagher 3-2-9, Bunch 6-4-16, Farmer 2-2-7, Komnick 2-0-5, Whalen 0-0-0, Pickering 0-0-0, Harmsen 0-0-0, Peters 0-0-0, Charron 0-0-0, Schroder 3-0-7, Werner 2-0-3, Young 8-4-20, Heidbreder 0-0-0. Totals 25-12-67. Three-point field goals (5): Farmer, Gallagher, Komnick, Schroder, Werner. Young was high scorer for Lincoln with 20 points. Illini Central -- Scott 4-6-14, Cunningham 2-0-4, Sickmeyer 1-2-4, Norton 2-0-6, Williams 0-2-2, Swaar 0-0-0, Harrison 1-3-5, Schrick 0-2-2, Van Etten 0-0-0, Hieronymus 1-0-2, Bergman 0-0-0. Totals - 11-15-39. Olympia -- Olson 1-0-2, Schmidgall 1-1-3, Schultz 1-0-2, Kieser 5-4-14, Dillenburg 3-0-8, Thornton 1-0-3, Elliott 0-2-2, Boudeman 1-0-2, Williams 0-0-0. Totals 13-7-36. Three-point field goals: Illini Central (2) - Norton 2; Olympia (3) - Dillenburg 2, Thornton. [MARCH 1, 2003] LCC won Friday night over Moody Bible Institute, 82-64. The Preachers were up 40-26 at the half and led the entire way. Scoring leaders for Lincoln were Tim Schultz with 17, Caleb Edson and Kyle Rogier with16, and John Holderby with 13. Schultz led in rebounds as well, with six. Holderby handed out six assists, while Caleb Edson and Tommy Ponsot both had five. Moody, which struggled early, was led by Eric DeSantis with 16 and Chris Sendelbach with 10. LCC goes on to the regional championship against Maranatha Baptist Bible College on Saturday at 2 p.m. The NCCAA Midwest Regional Tournament is being held at the Laughlin Center on the campus of Lincoln Christian College. [MARCH 1, 2003] LCC ended the season with a 58-65 loss to Maranatha Baptist Bible in the second round of the NCCAA Division II women's regional in Wyoming, Mich. LCC's Christina Wright led all scorers with 19 points. LCC -- Megan Foster 3-0-6, Brittany Robbins 6-4-18, Stephanie Urton 5-0-10, Christina Wright 7-4-19, Stephanie Williaims 2-0-4, Casey Strange 0-0-0, Kim Jewell 0-1-1, Sarah Over 0-0-0. Totals 23-9-58. Three-point field goals (3): Robbins 2, Wright. [MARCH 1, 2003] NORMAL -- Just two games left ... both on the road ... both against the teams fighting for first place in the Missouri Valley Conference. The challenge is large for Illinois State, which has its own possible State Farm-Missouri Valley Conference Tournament bid on the line as well. First, it's a 3 p.m. Saturday matchup at Creighton. Then, it's the regular-season finale Wednesday at Indiana State. Illinois State, 7-18 overall, 5-11 in the Missouri Valley, likely needs a win to reach the tournament. If both the Redbirds and Evansville, 5-10 with three games left, don't win again, it will boil down to either the Valley's regression index or possibly a coin flip for the No. 8 team. The regression index awards points for each win based on where teams finished in the standings. A win over a team finishing higher in the final standings is worth more than a win over a lower team, and road wins are worth more than home victories. With four road wins in Valley play this year, the Redbirds certainly know how to get the job done on somebody else's court. Coach Jenny Yopp thinks that isn't on the players' minds. 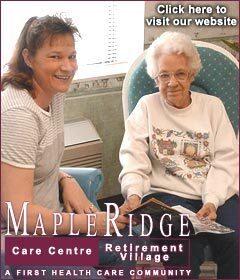 "Our kids have never been caught up in that home-and-away thing," said Yopp. "They just want to win games. They know enough about the situation to know they are still in it. Mostly, we focus on preparing for each opponent." The Bluejays, 18-6 overall, 11-4 in the Missouri Valley, are fresh from a win over Indiana State, giving Creighton a tie on the loss side with the Sycamores, 12-4, atop the Valley. Creighton is trying to repeat as regular-season champ. Indiana State was the preseason pick to finish seventh -- which is where the Sycamores have finished the last three seasons. Christy Neneman, looking to repeat as Missouri Valley Most Valuable Player, tuned up Indiana State for 20 points and 17 rebounds in a 72-59 win over the Sycamores Thursday. Both teams play full-court pressure defense and are top-flight 3-point shooting teams. "Certainly, preparing for teams as different as Drake and Creighton is a challenge, but playing Indiana State after Creighton means you're seeing that same level of pressure twice in a row," said Yopp. "We played well against Creighton (a 77-72 loss at Redbird Arena) the first time around." [MARCH 1, 2003] PARK RIDGE -- All-session tickets to the sixth annual Big Ten Men's Basketball Tournament at the United Center in Chicago will be split into single-session tickets that will be available for public sale beginning at 10 a.m. Monday, March 3. The tournament includes five sessions over a period of four days, and the cost per session is $45. Tickets may be purchased at the United Center box office, at all Ticketmaster outlets, Ticketmaster online or by calling Ticketmaster at (312) 559-1212. 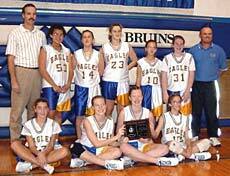 [MARCH 1, 2003] The Lady Eagles basketball team from Zion Lutheran School in Lincoln has been chosen to participate in the Lutheran School Association State Basketball Tournament March 7-9 at locations in the Chicago area. The Lady Eagles were 14-3 during the season, with three tournament championships. The team members are Kate Kastendick, Ally Fuiten, Michelle Eack, Candace Schmidt, Amanda Podbelsek, Colleen Pech, Brittany Rogers and Kate Harmsen. The team is coached by Dan Podbelsek and Brian Fuiten. Their first game at the state tournament will be on Friday, March 7, with Naperville-Bethany Lutheran at Trinity Lutheran School in Roselle. The Zion Lutheran Lady Eagles basketball team will play in a March 7-9 state tournament for Lutheran schools. Pictured, left to right, in the front row are Michelle Eack, Ally Fuiten, Kate Kastendick, Amanda Podbelsek. In back are Brian Fuiten, Colleen Pech, Lauren May, Candace Schmidt, Brittany Rogers, Kate Harmsen and head coach Dan Podbelsek.